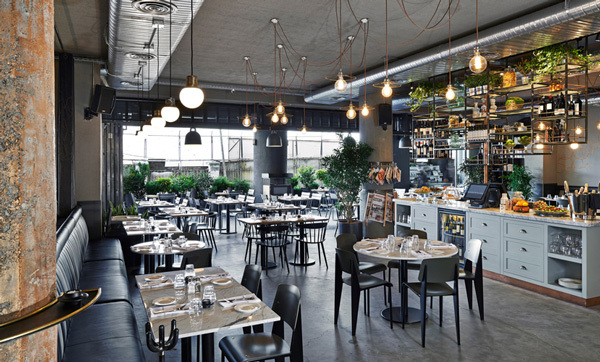 BCB – SEGUIN SOUND – Micro-Brewery Bar&Restaurant, Ile Seguin (Paris). YAPI KREDİ KÜLTÜR YAYINCILIK – Galatasaray, Istanbul. 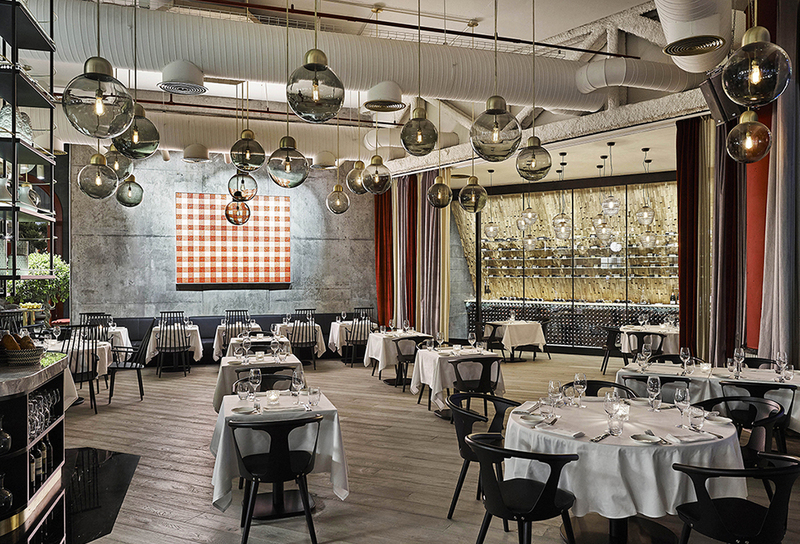 HUB FOOD – Restaurant, Kanyon, Istanbul. “The incebelli” glasses are on sale at Pasabahçe Stores. 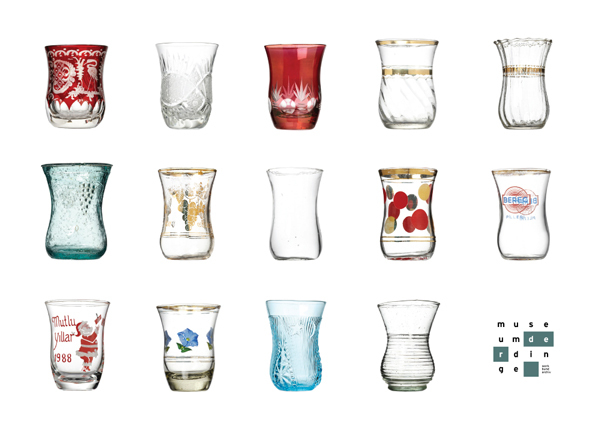 Koray Ozgen is part of the designers invited to the exhibition of the “Omnia Collection” which celebrates 80 years of the Turkish glass company Pasabahçe. 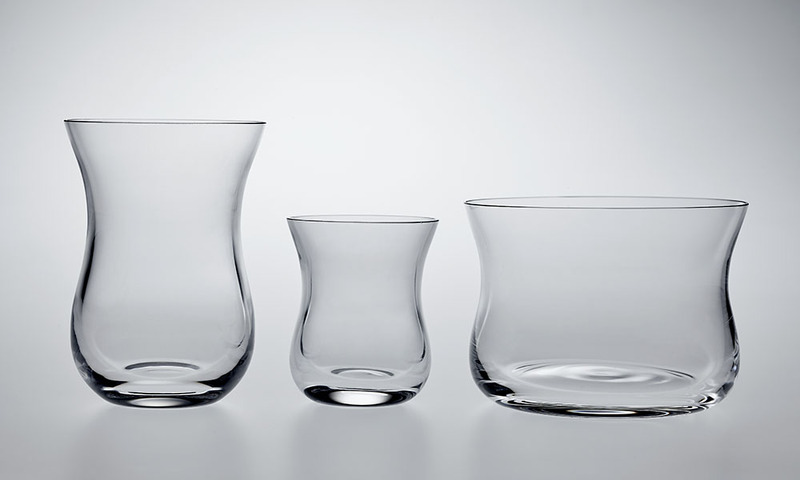 For this occasion, Koray Ozgen has designed a set of glasses named “The incebelli”. The collection is exhibited at the old Bomonti Beer Factory in Istanbul until December 11th 2015. The rug “Green in the middle” featured in “Instructions” exhibition, a parallel event of the Istanbul Design Biennial organized by IKSV (İstanbul Foundation for Culture and Arts). Exhibition: Author’s cabinet by Koray Ozgen at Museum der Dinge, Berlin. Opening talk with Koray Ozgen: Thursday, March 20, 2014 at 7 p.m.
Fuat Ozgen collects objects and ephemera. A conversation with his designer brother Koray Ozgen initiated his passionate collection of slim waisted (ince belli) tea glasses. In the following years this led to a considerable accumulation of these vessels mostly used in Anatolia since early 20th Century. In his author’s cabinet at the Museum of Things Koray Ozgen, living and working in Paris, does not just display this collection, but— via his brother’s collected objects — a regard. He experiments with a classification based on various encounters and reflections on family, childhood flashbacks, popular culture and presupposed assumptions. These cabinet contents are neither a history of an artifact nor a personal memory: Koray Ozgen invites the viewers to thread their way through craft and industry, personal and public, “beautiful” and “ugly”, original and appropriated. 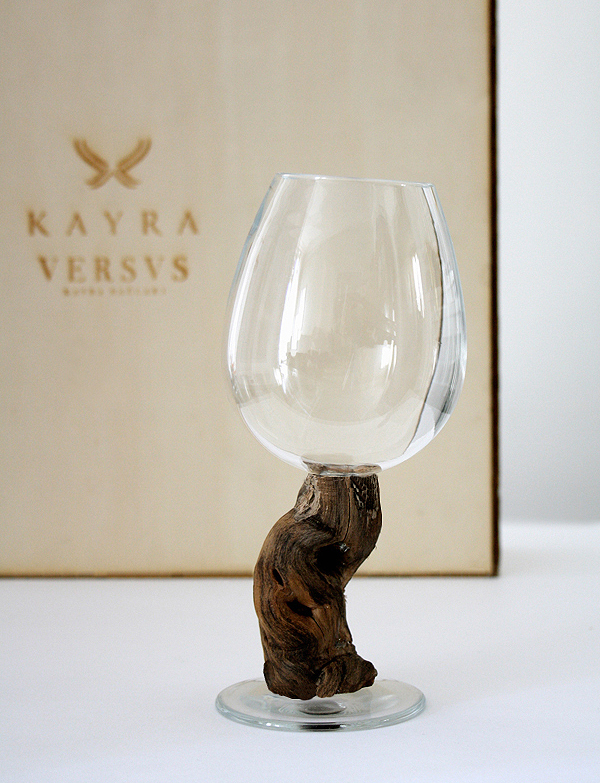 Ozgen Design Studio designs the limited edition wine glasses and the promotional wine case for ‘Kayra Versus’ launch. Kayra Winery (Mey içki / Diageo). Signage design, SALT Ulus, Ankara. Tulûat rug designed by Koray Ozgen for Dhoku nominated in the floor covering category for Elle Decoration International Design Awards 2013 by Elle Decor Turkey. 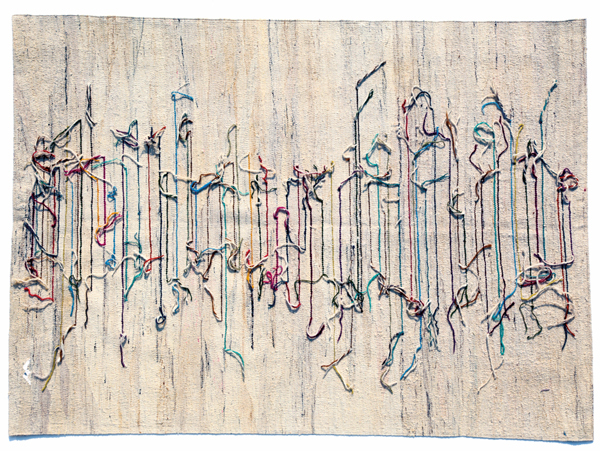 Awarded as the Best Floor Covering Design by Elle Decor in Turkey, Tulûat featured in “Notations: An Exhibition of Kilim Recordings”, a parallel event of the Istanbul Design Biennial organized by IKSV (İstanbul Foundation for Culture and Arts). “International Experience in Design Practice” by Koray Ozgen. 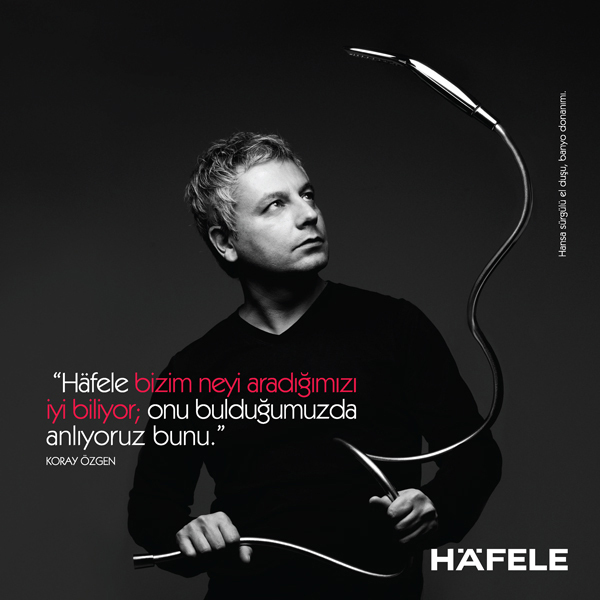 Koray Ozgen Design Turkey 2012 Industrial Design Awards jury member. Tulûat, Rug design for Dhoku. Tulûat is about transforming and recording the common mind of the designer and the weaver into a notation – a process which the designer starts and the weaver completes without referring to any preset scheme. The mind and the hand rids the object from patterns, knots and hidden in exchange for the freedom of colors and loose ended threads. This recontextualization updates/redefines the relationship between the designer and the weaver. Surplus material spontaneously finds new use (life) in this object, in an attempt to search new ways in sustainability. It is also about attributing the object with a quality of ‘another’ sense of locality and cultural sustainability where the rural and urban meets. 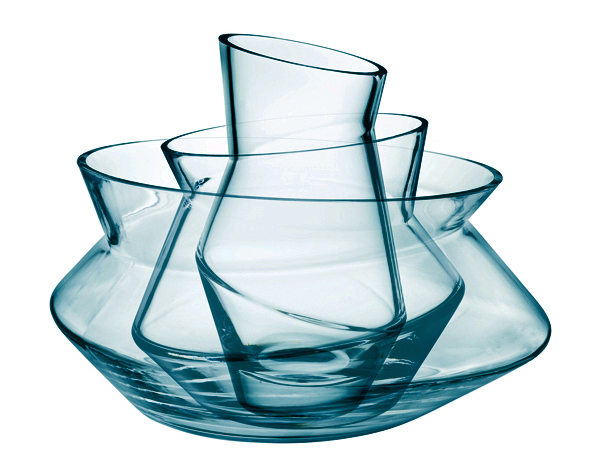 Stackable bowl, ice bucket and vase for Denizli by Pasabahçe. 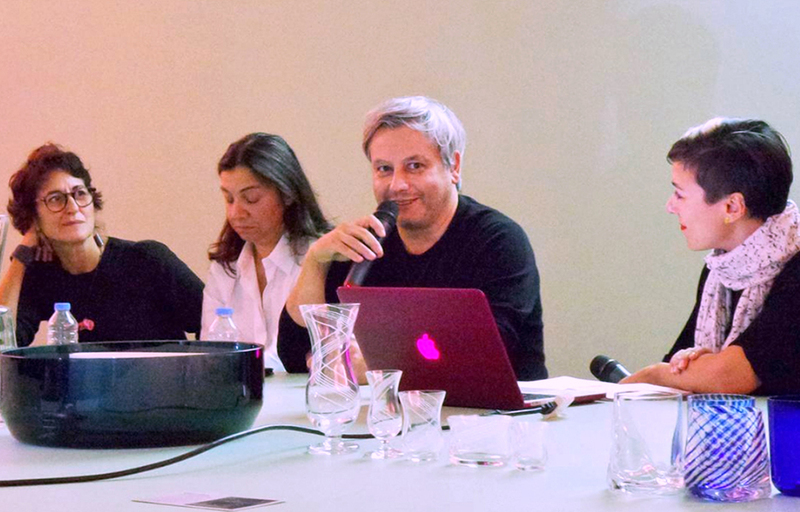 Workshop: “Imperfection”, Bilgi University, Istanbul. Planned to be a yearly event, this first instance of Vernal Workshops is a five-day long programme involving a number of interdisciplinary workshops for students of art, design and architecture. Based in the Santral Campus of Istanbul Bilgi University, this year’s theme is ‘Imperfection’ referencing to the Istanbul Design Biennial’s 2012 thematic framework. Exhibition: “Istanbul Alphabet”, Museum der Dinge, Berlin. 9 works of Koray Ozgen feature in the exhibition “Istanbul Alphabet”, curated by Max Borka at the Museum der Dinge in Berlin. 17 February – 9 April 2012. 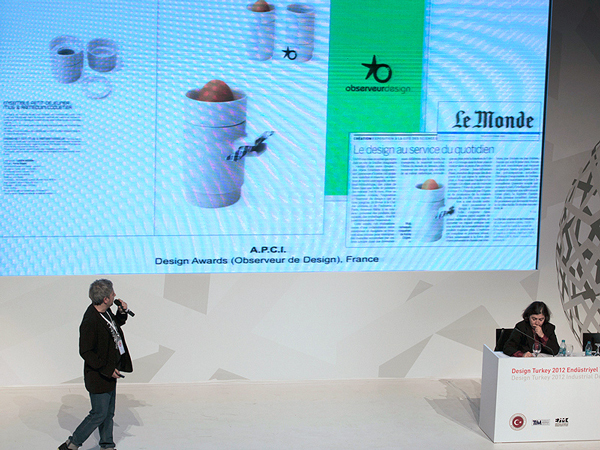 The Toolives collection is awarded as the Best Kitchen Accessory Design by Elle Decor in Turkey. 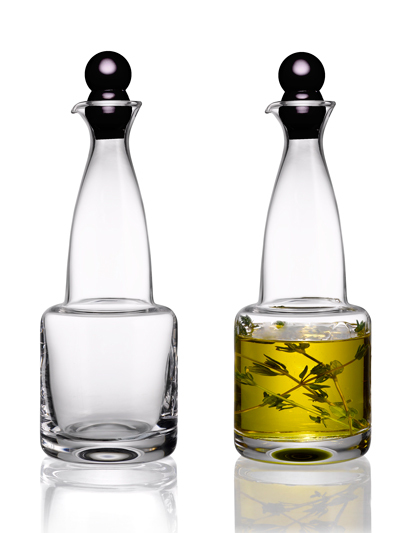 Olive oil bottle/carafe for Denizli by Pasabahçe. 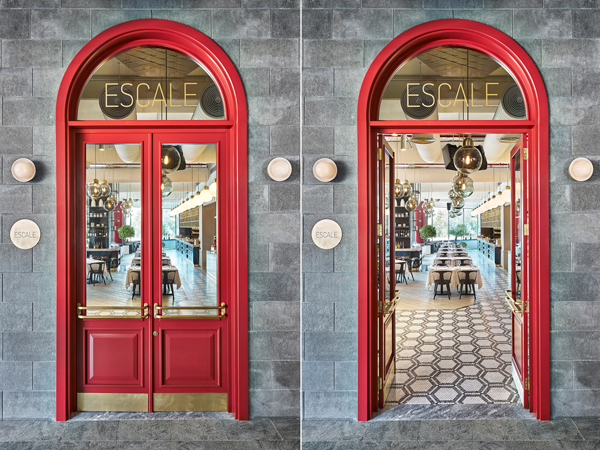 “There is also the unique and very tactile information and graphic design approach of Ozgen Design for the navigation of the space and the library collection inspired also from the pattern material expressions of the historic setting.” Sanal Mimarlik, 2011, Istanbul.